Four architectural bureaus took part in the competition, project of the British company Grimshaw & Partners Ltd. was chosen as a winner. 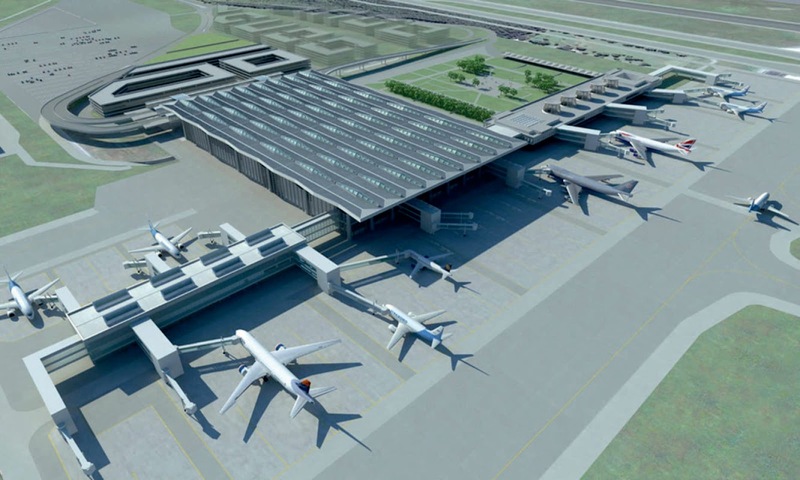 Grimshaw have been chosen to design the new 450 million euro Pulkovo Airport. 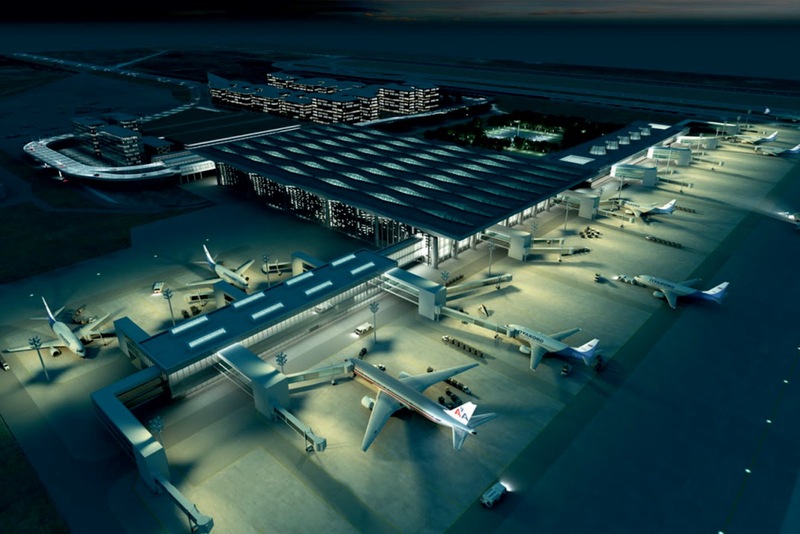 Сarrying capacity of the airport will be essentially increased, it will help to increase passenger traffic, to open new domestic and international flights, to extend flow of transfer passengers, to realize the newest airport technologies and will help large interchange node – hub. 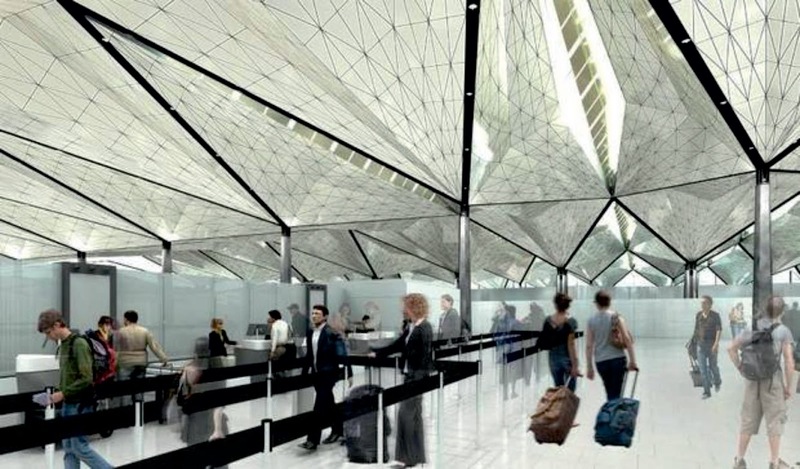 Re-construction project includes the use of high international standards of safety and technical equipment of the airport, modern check-in procedures, customs legalization and passport control. 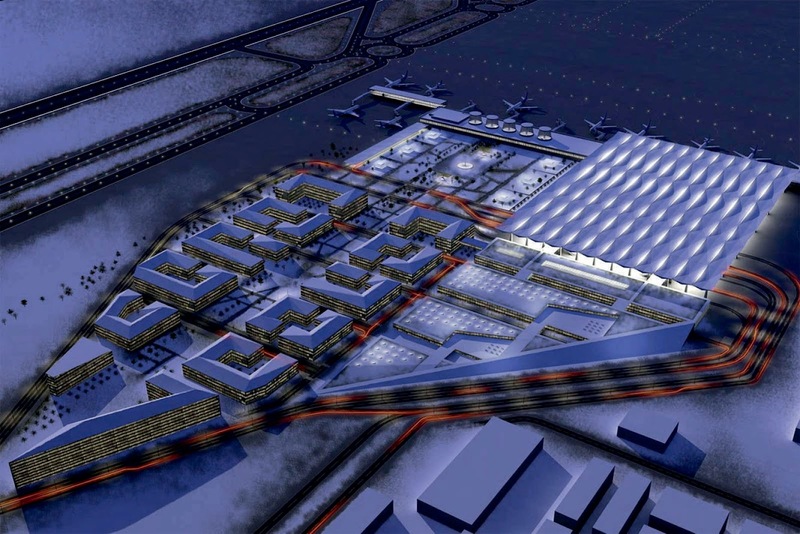 With introduction of the new terminal in 2013 Pulkovo airport will become one of the leading modern air transport nodes in Northern Europe. 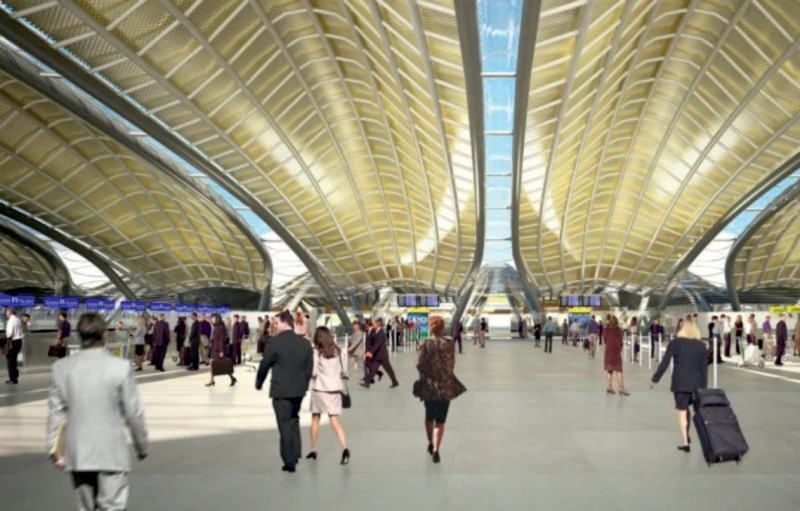 “The city’s heritage and its future have come together in the design of the new terminal project and Grimshaw’s uniquely designed roof is inspired by St Petersburg’s historical architecture. 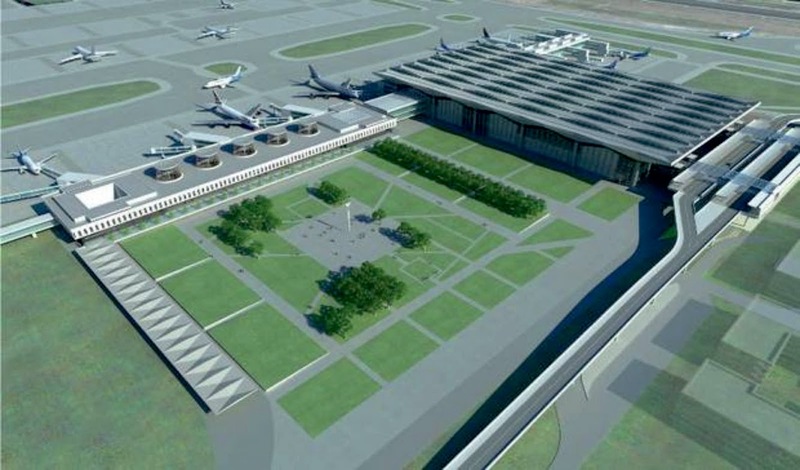 We believe that Grimshaw’s terminal building will not only become a new St Petersburg landmark, but also a comfortable and functional facility,” said Konyashchenkov, Pulkovo’s deputy director. The Grimshaw architects was able to capture and portray the spirit of the city within the designs. 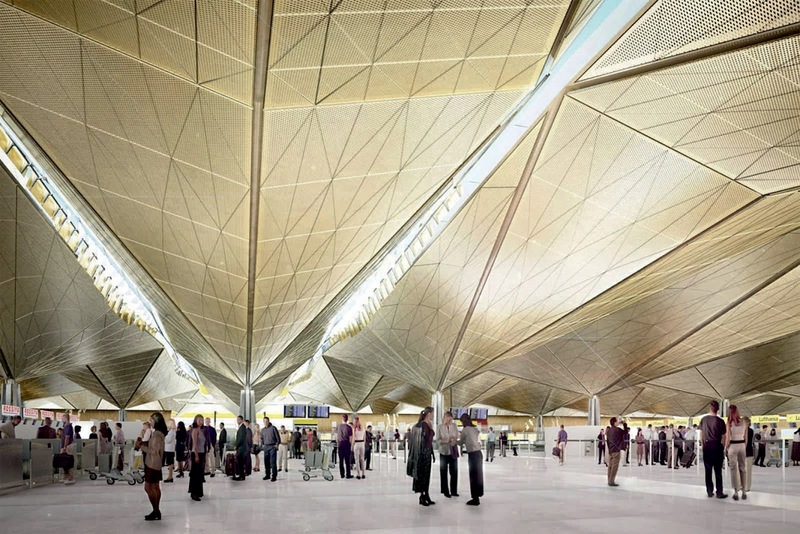 Mark Middleton is a partner at Grimshaw Architects and has headed the Pulkovo Airport project. As Middleton explained, the new roof and envelope has been designed with sustainability in mind, to provide the greatest protection from extreme snowfall in winter and to make the best use of low natural light. “We studied the city of St Petersburg very carefully and tried to respond to the local climate as much as possible. We designed a flat roof, with thin roof lights and reflectors to guild the light,” he said. 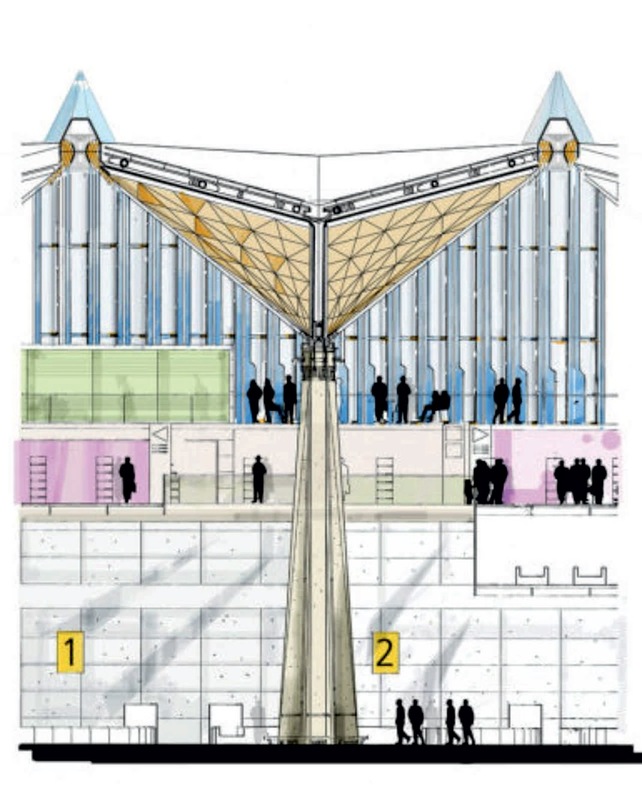 The internal layout of the new terminal consists of well-defined zones, connected by individual walkways that resemble the city’s layout of islands and bridges. the cultural influence is strengthened by a sculpture-lined boulevard, which forms the airport gateway and is reminiscent of St Petersburg’s Grand Avenue.. The masterplan represents and responds to the climate and heritage of St Petersburg. 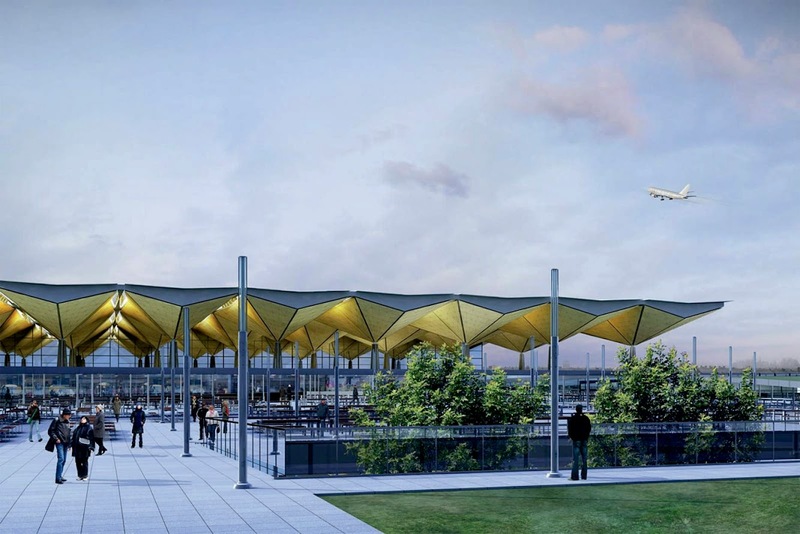 the striking new terminal roof and envelope are designed to accommodate the extremes of climate experienced by the city. the most prominent of these are the heavy snowfalls experienced in winter. the roof is created from a series of 18m bays, which effectively act as large hoppers, shallow enough not to encourage gathering snow, but deep enough to provide effective drainage. The drains are located directly above the roof's supportive columns to ensure that the greatest snow load is concentrated on the area of maximum structural support. the roof lights are positioned above the datum line to give them the greatest protection from blanketing snow and to enable them to make optimal use of the low angle natural light. 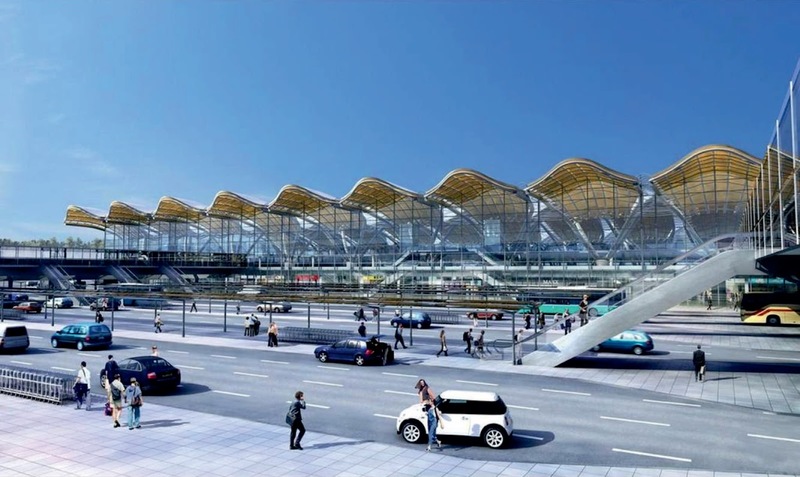 Pulkovo Airport should act as a gateway to both St. Petersburg and Russia, while reflecting the city it serves. 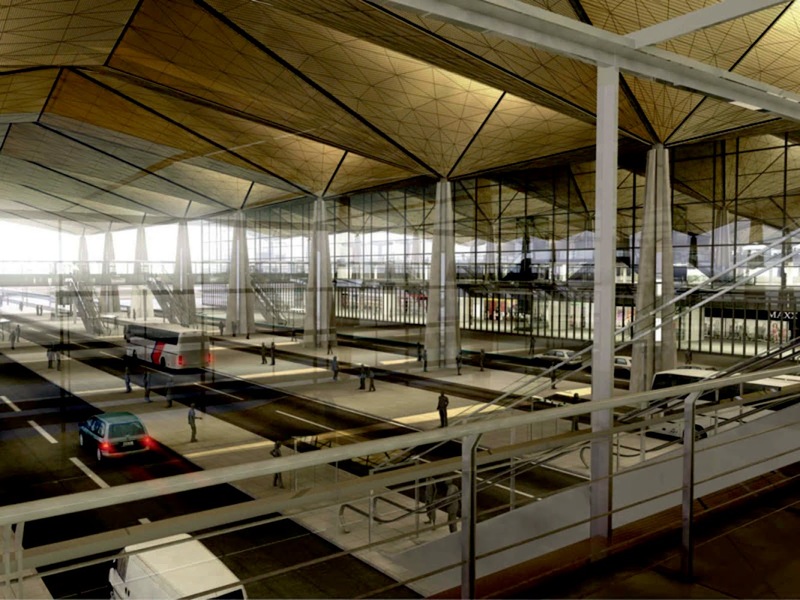 Therefore, the internal layout of the new terminal consists of well-defined and separate zones connected by individual walkways to echo the external layout of islands and bridges which make up the city. 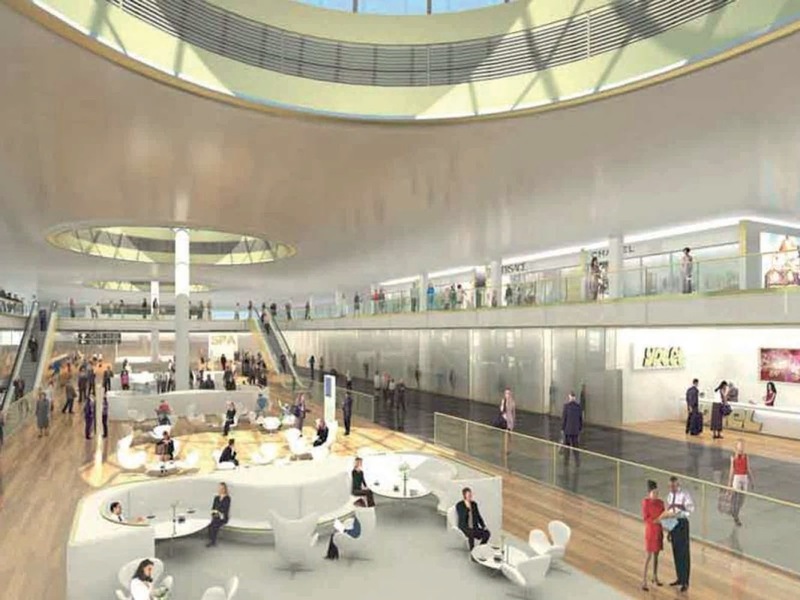 These grand, open rooms are analogous with the many civic spaces found in St Petersburg, emphasising the airport's role as the first and last great public space of the city. This emphasis is carried through into the Airport City masterplan. This focuses on the sculpture lined boulevard which forms the Airport Gateway. It is reminiscent of St. Petersburg's Grand Avenue, and terminates in a large square which will represent the past, present and future of St Petersburg through a series of pavilions.